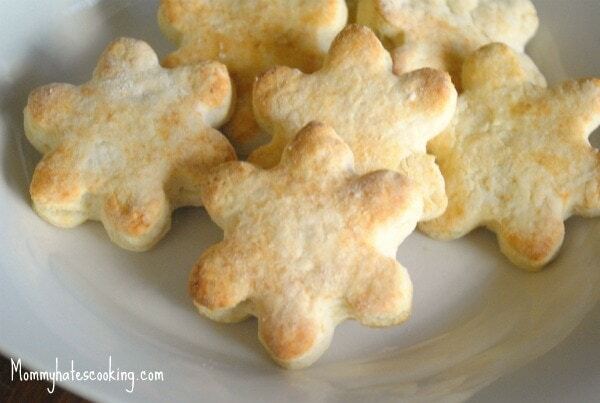 Get ready for the holidays with Homemade Shaped Biscuits. 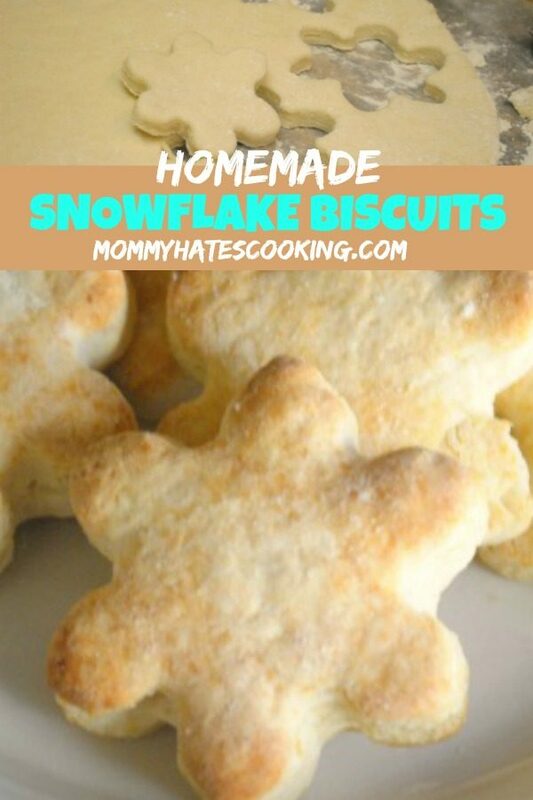 These are Snowflake Biscuits! A few week’s back I found this homemade baking mix recipe that was posted on The Creative Princess. 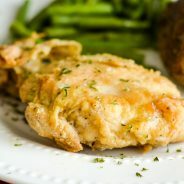 I was anxious to try this recipe because it is said to be similar to Bisquick. My husband loves to cook breakfast, but he has always been the type that wants the premade mix ready so that it’s easy for him to make breakfast. I would prefer that it be a homemade mix, so as soon as I saw this post, I knew I was going to be giving this mix a try. I made this with the low fat version which means half the butter. I also doubled the recipe making it about 5 cups of mix. I cannot say enough good things about this recipe. I ended up making about 8 batches of it because we were having a large breakfast. The first thing I made was biscuits. I decided to do biscuits shaped like snowflakes, so I rolled the dough out to 1/2 inch thickness then used the cookie cutters to cut out shapes. The first batch I did a 1/4 inch thick, but quickly found 1/2 inch is better since they do not rise much in the oven. They turned out fabulous! If you use a small cookie cutter then you can easily make anywhere from 15-20 biscuits and if you do a larger cutter it will be about 5-10 biscuits. 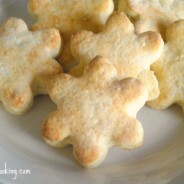 How do you make Gluten Free Homemade Shaped Biscuits? When making the master baking mix, simply use gluten-free all purpose flour instead of regular flour. I typically use Better Batter to do this. It works every single time! This recipe uses this homemade baking mix. Enjoy these biscuits, you can create all types of festive shapes with these! Combine the baking mix with the milk until the dough forms. 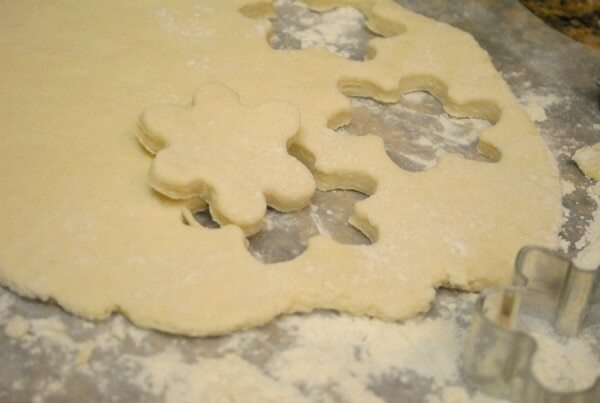 Roll the dough out on a floured surface to 1/2 inch thick, then use cookie cutters to cut out shapes. 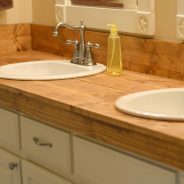 Place these about 2 inches apart on a greased cookie sheet. They will bake at 475* for 10 minutes.